We make the warmth from sun energy usable for our building services. 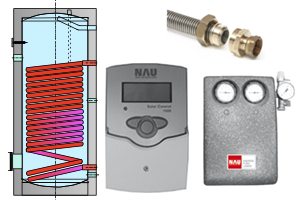 Wheather warmwater oder heatingsuppoert – we offer solar thermal systems that reduce your costs. 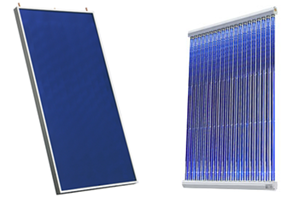 We have two kinds of sun collectors for you: the flat-plate collector “Silverline” and the tube collector by NAU. Mounting, heat transfer station, fresh water station, drinking water storage, solar controller, complete montage sets.